This database is provided as an informational aid and is not legal advice. Data may be out-of-date or incomplete. Please consult a lawyer before taking any action. 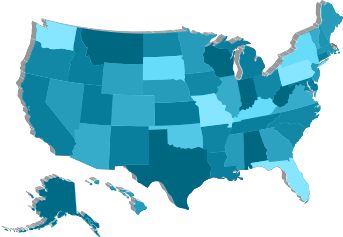 CLICK ON THE MAP BELOW TO FIND ALCOHOL STATUTES AND REGULATIONS BY STATE.